Courtesy of Konstantin Grigorishin, International Swimming League. At today's press conference on the inaugural season of the International Swimming League, owner Konstantin Grigorishin said something that was very obvious and so relevant for elite open water swimming competitions. "Unpredictability drives fan and media interest in a sport where people cannot predict the winners." "That statement totally sums up the open water swimming events at the FINA World Championships and Summer Olympics," says Steven Munatones. "And is the reason why every major open water race is exciting under the last stroke. It would be most exciting for the league to add an open water swimming stages sometime in its near or distant future." Carlsbad (California) surfer and 5-time pool swimming world champion Michael Andrew and several other world and Olympic champions will participate in the new International Swimming League, the first professional swimming league for elite swimmers. The International Swimming League (ISL) will debut this year as the first league for elite competitive swimmers. In October, the ISL will host a series of U.S. and European-based competitions that will culminate in a global championship at the Mandalay Bay Events Center in Las Vegas, Nevada. 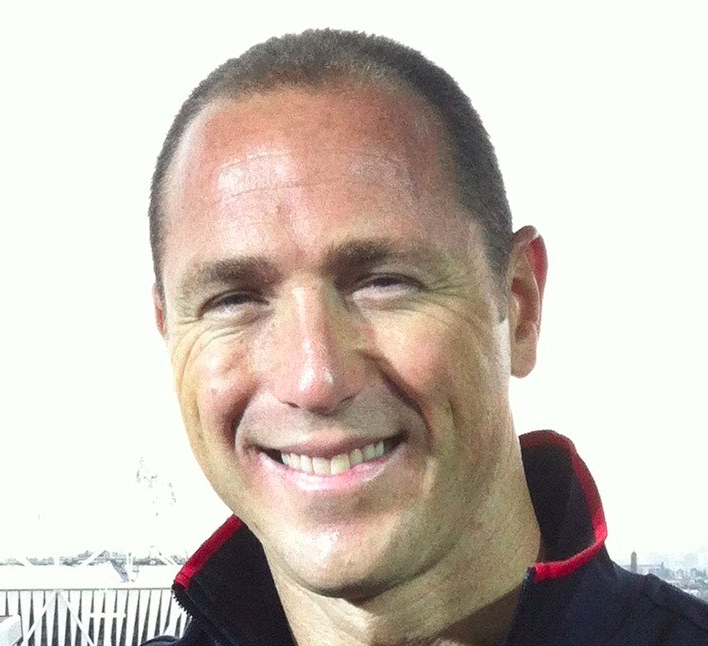 World record holders like 8-time Olympic medalist Jason Lezak [shown above] explained a little more about the ISL, "The ISL is the first league that will pay swimmers living wages to compete. It aims for complete gender parity, and about 75% of swimming's current Olympic champions and world record holders will compete in ISL tournaments. We hope to generate the first televised mass viewership of swimming outside of the Olympics." The executives behind the ISL include some of the most aquapreneurial business minds on the planet. Ali Khan serves as the CEO of the International Swimming League Ltd. Ali has nearly 20 years of investment banking experience, having worked with established international investment banks such as HSBC Bank, UBS and RBS. He has worked around the globe, in Singapore, Hong Kong, Dubai, Geneva and London, and across business lines and asset classes, such as equity-sales, corporate finance, private-equity and asset management. Andrea Di Nino is the ISL's managing director. He has nearly 20 years of experience in creating unique concepts in the sport of swimming. Having worked as a Head Coach for almost 15 years in elite programs, he has lead athletes to Olympic medals, World Championship golds and WRs. Andrea has also created the longest-running and only world-wide prototype pro swim club (2005 – 2016). He specializes in creating and developing concepts, strategic international relations and event planning & scheduling. Apostolos Tsagkarakis is the technical director of the ISL. He has 10 years of experience in organizing sport events [through strategic planning and execution] with his expertise in aquatics, where he has worked with different levels of athletes, varying from Olympic Champions to National athletes; and various types of events, from elite to mass participation events. Artem Nitz is business development director of the ISL. He has 18 years of experience in strategy, business development, program management, finance, and general management in the industries of telecommunications, industrial manufacturing, and banking across various geographies, including Ukraine, Russia, Hungary, and the Netherlands. Dmytro Kachurovskyi is the program development director of the ISL. He is the former president of the Ukrainian Swimming Federation 2013-2017 and has over 22 years experience in sport facilities.